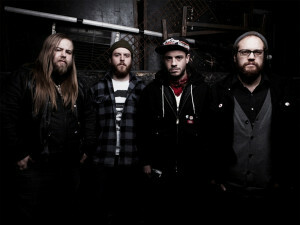 Cancer Bats new song “Old Blood” has hit the internet and it is surely causing waves over here. Check out the latest track from their forthcoming effort Dead Set On Living, set to release in April, via Hassle Records. This new album will follow-up the group’s previous work, Bears, Mayors, Scraps & Bones, released in 2010. Sorry that the quality is not the best but it works for the time being! What are your thoughts on this new material from Cancer Bats?